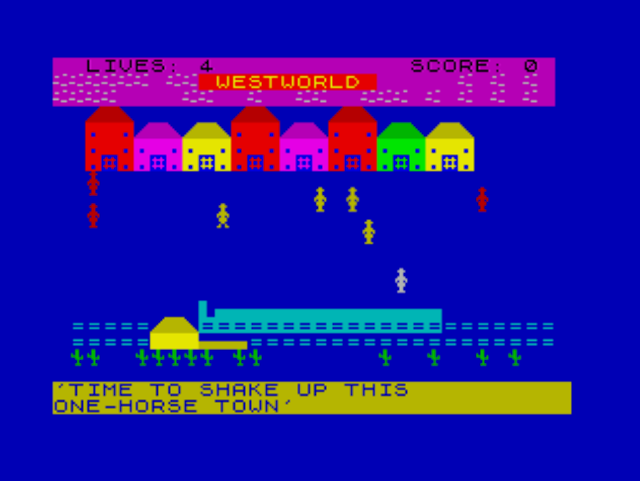 Indie Retro News: ZX Spectrum BASIC Jam - Game creation in Sinclair BASIC gets 24 entries! ZX Spectrum BASIC Jam - Game creation in Sinclair BASIC gets 24 entries! It was not long ago that we gave a hearty mention to Gazzapper's 'ZX Spectrum BASIC Jam'; an ongoing game creation competition, in which people around the world had the opportunity to create any game they wish, as long as it fits the specific system criteria set by the competition creators, in this case Sinclair BASIC. Well we are pleased to announce, this big speccy Jam in celebration of the birthday of the ZX Spectrum (35), will be closing very shortly and you can play all the games right now!